Administrators of the Bawinanga Aboriginal Corporation, put into special administration in October last year, have sacked two executives from the Maningrida Arts & Culture (part of the Bawinanga group) and have appointed an art dealer, Karen Brown as their art advisor, prompting two other Maningrida executives to resign in protest about this and the administrators management style. Maningrida Arts & Culture represents over 900 artists and is one of Australia’s largest arts centres, which, at its peak, experienced an annual turnover of almost $2.5 million. Bawinanga Corporation was placed into special administration in October 2012 following a business expansion, which has included an air charter service. Before appointing executives in January 2012, Maningrida had been without permanent management for some months. A further appointment (assistant managers) was made in August 2012. 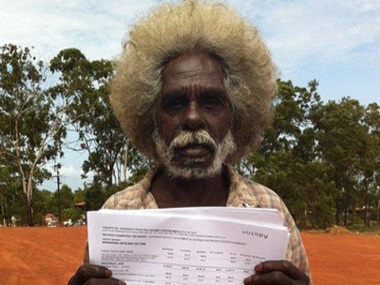 However, the administrators to Bawinanga have told The Australian Financial Review, it was necessary to make "operational cuts" to a number of Bawinganga's entities, which have included Maningrida. One of the managers who resigned has said that artists had not been paid copyright payments or for the sales of their artworks because of a delayed release of funds for a lengthy period, which included the Christmas period. A further worry was the provision to Ms Brown privy of records relating to Maningrida dealings with commercial galleries.